Thinking of building some muscles, losing some fat or improving your workouts? Try Branched Chain Amino Acids supplements. Whether you are an athlete, gym rat or a workout enthusiast, you certainly need BCAA (Branched Chain Amino Acids) supplements. Why? With the Branched Chain Amino Acids supplement, you can transform your workout regimen. 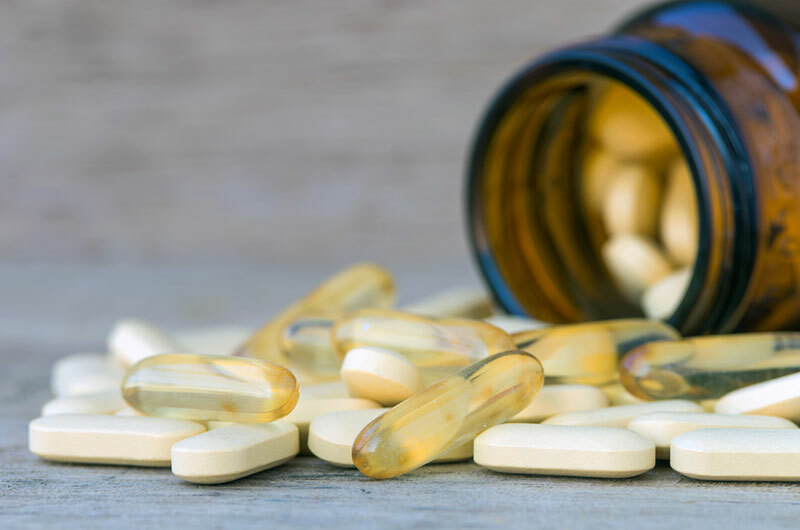 Read on to find out more about Branched Chain Amino Acids supplements, and the best Branched Chain Amino Acids worth your hard-earned money. Branched Chain Amino Acids is a combination of three essential amino acids; leucine, isoleucine, and valine. Leucine is the most essential of them all. This, however, doesn’t imply that the other two are less important. BCAAs are also found in our diets specifically proteins like meat, dairy product, and legumes. In fact, they constitute 40% of the essential amino acids in the body. To athletes, Branched Chain Amino Acids is one of the best supplements. Why? Best forms of BCAAs can bypass the liver, the tissue and go directly to the bloodstream. Everyone seeks that best supplement with real benefits. Therefore, there is no harm in searching for the ideal BCAA product. But, first things first, are Branched Chain Amino Acids Supplements worth your time and energy? What do you gain after consuming BCAA supplements? Reduces fatigue and enhances endurance. Your muscles are prone to experience wear and tear after a long day of exercise. High quality BCAA supplement will solve the wear and tear issue. How? Branched Chain Amino Acids Supplements reduces the level of serotonin, which otherwise induces fatigue. In the long run, there will be less muscle damage and an increase in endurance. Soreness on the muscles often develops 12 to 14 hours after your workouts. Specially if you use Hands Weights or Leg Weights. So, to reduce the soreness, BCAA decreases muscle damage. In addition, Branched Chain Amino Acids supplements speed up the recovery time. Protein synthesis is actually a very special property. To burn more fats, grow muscles or heighten recovery, protein synthesis should be involved. Even though it can be increased through workouts and diet, Branched Chain Amino Acids Supplements can increase protein synthesis more. To those planning to get rid of blocks of fat around the belly, the high quality BCAA can help. Add Branched Chain Amino Acids Supplements to your workout routine and expect changes in no time. Leucine specifically plays the role of reducing the fats. What Do You Look For When Choosing the Best BCAA? As you shop for the ideal Branched Chain Amino Acids supplement there are things to consider. Whether you are looking for the best supplement for men or women, you have to choose well. For guidance take a look at the following tips. Does the Branched Chain Amino Acids product go hand in hand with your needs and lifestyle? In short, know what you want out of the supplement. Check the ingredients for the right ratio. The recommended ratio is 2:1:1. Go for the flavor that suits you. Branched Chain Amino Acids supplements have varying flavors, so choose carefully. Where do you go wrong when using BCAA? As you wake up every day to drink your ideal BCAA, are you certain you’re using it right? As much as the supplements do justice to your health, using it incorrectly can cause health issues. Plus, you may fail to maximize the benefits. Here are some wrongs to avoid when using the supplements. Ditching other supplements when consuming BCAA. Don’t avoid other essential supplements like whey protein as soon as you start using Branched Chain Amino Acids Supplements. Instead, maintain a balance between the supplements. Decreasing your protein intake. This is a terrible idea, so don’t. Even the best quality Branched Chain Amino Acids Supplements can only provide you with 3 amino acids out of the nine you require. Therefore, you need proteins to get the rest six essential amino acids. Choosing the wrong ratio. The idea that Branched Chain Amino Acids Supplements with higher ratio speeds up muscle growth, is absolutely not true. So, go for the right ratio (2:1:1). What is the best time to take BCAA? The ideal time to take your Branched Chain Amino Acids Supplements should be; before the workout, during the workout, after the workout and before you sleep. Choosing the best Branched Chain Amino Acids supplement is definitely not easy. To reduce your hassle, this article has compiled the 5 best BCAA worth trying. Aside from being the most advanced, it is one of the best Branched Chain Amino Acids Supplements for men. This best-selling Branched Chain Amino Acids supplements is great for muscle building and recovery. Xtend BCAA powder has zero sugar and zero carbs. For more details check amazon best sellers. This is also the best Branched Chain Amino Acids Supplements for men. With Bulk supplement BCAA, you can expect muscle growth, better workout performance, and muscle recovery. You can take the supplement 20-30 minutes before your workout or 3 times a day. Check it out on amazon.com to weigh your options. NLA for Her is designed specifically for women. If you are looking for the best Branched Chain Amino Acids Supplements for women, this should be your deal choice. This supplement has additional comprehensive amino acids to enhance muscle growth. The good thing is; the supplement is easy to absorb. As a lady, you can make the most out of your workout with this best BCAA supplement. Just like the name states “ideal”, it is one of the best Branched Chain Amino Acids Supplements for women. The fact that it has zero calories makes it ideal for attaining a lean muscle and burning fats. Ideal lean BCAA comes in different flavors like green apple and so on. Therefore, you can choose a flavor that best suits you. If you are not a fun of flavors you should try now sports BCAA. This Branched Chain Amino Acids Supplements is completely free from gluten, soy, nuts, and eggs. You can mix it with any beverage including juice and protein shake. However, it doesn’t mix well with cold water. It can also have some bitter taste which some find it unbearable. Have you ever used BCAA before? If so, what are your top best Branched Chain Amino Acids Supplements? BCAA supplements can be in form of capsules, tablets or powder, which form do you prefer?